Great experience. Ashlyn was great and continues to be so helpful even after the purchase. 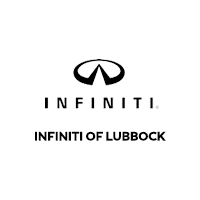 INFINITI of Lubbock was great! My sister came in to buy a Jeep Wrangler and they didn't try to persuade her to get another vehicle. They got her in the red one she wanted. She loves it! Just a shoutout to Brett Powell for his excellent service and attitude. This was not an easy deal to put together, so thanks Brett——and I love the X60!!! !Also—the facility was beautiful and everyone was friendly and welcoming. All you Benz and Bimmer folks need to give INFINITI products a hard look and strong consideration. Thanks to all you guys at Lubbock Infiniti.Service dept. was friendly and efficient. Shoutout to Ted—great guy!